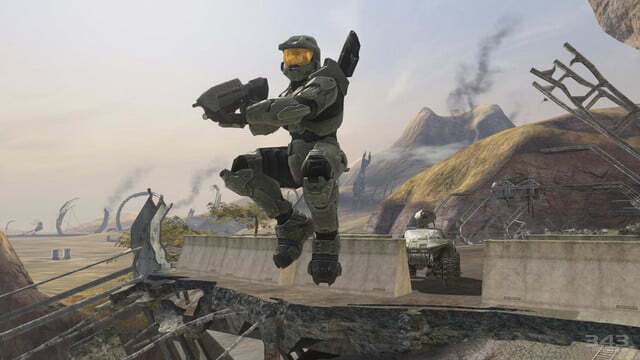 Packed with content and freshly remastered, Halo: The Master Chief Collection is the definitive celebration of a series and its fans. Halo 2 established teabagging – the practice of thrusting one’s crotch into a downed opponent’s stupid, dead face – as a video-game art form. 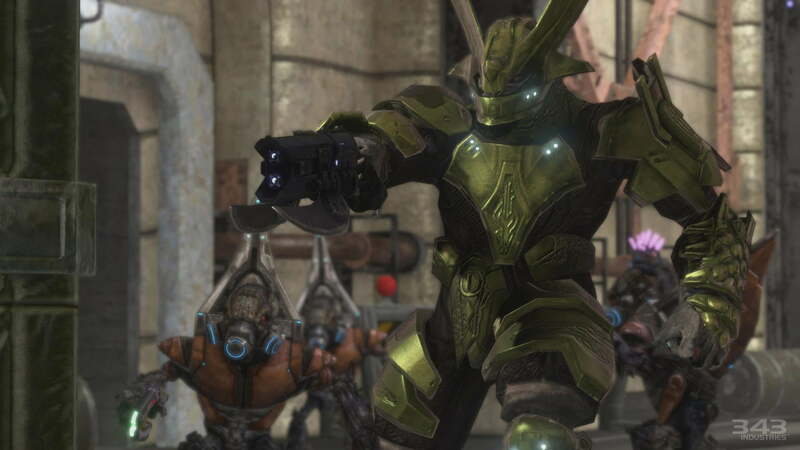 People like to talk about Bungie’s 2002 effort as a key catalyst for both Xbox Live and online console gaming as a whole, but really, it’s teabagging – and everything teabagging represents – that best captures Halo 2‘s legacy, and best justifies the gargantuan content pile-on that is Halo: The Master Chief Collection. The Xbox One re-release is hardly definitive. 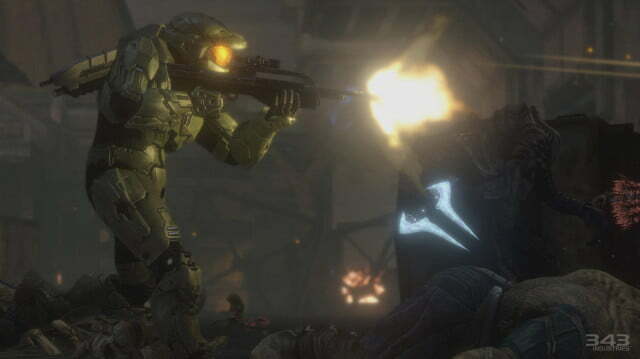 Halos Reach and ODST sit out, as do outliers like Halo Wars and Halo: Spartan Assault. Bungie’s logo is conspicuously absent from the initial load screens, even though three of the collection’s four games come from the studio. 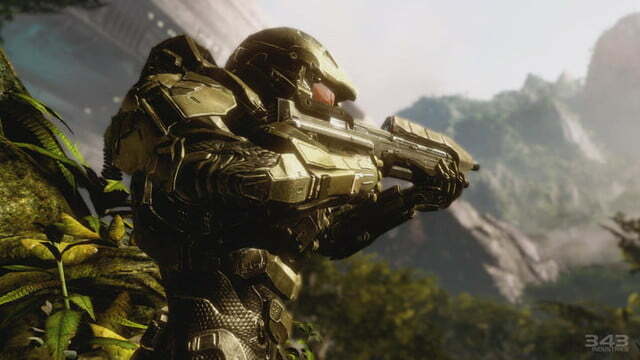 Halo: The Master Chief Collection isn’t here to honor a legacy; rather, it’s a celebration of the green-armored Spartan’s adventures. 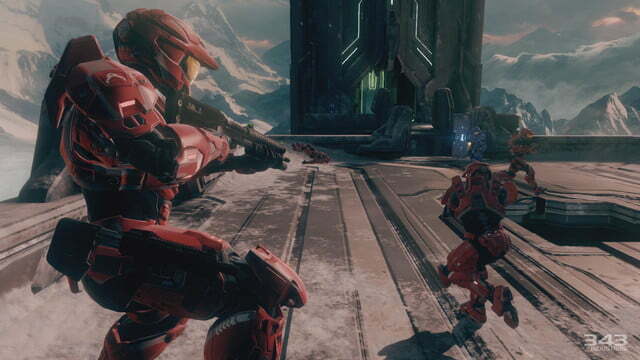 There’s a thrill here for every flavor of Halo fandom. 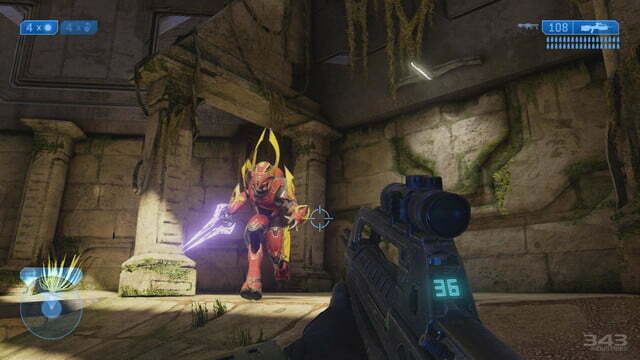 Here, there is an opportunity to relive the unhinged thrill of taking down a pair of Scarabs in one of Halo 3‘s joyously open battle arenas. 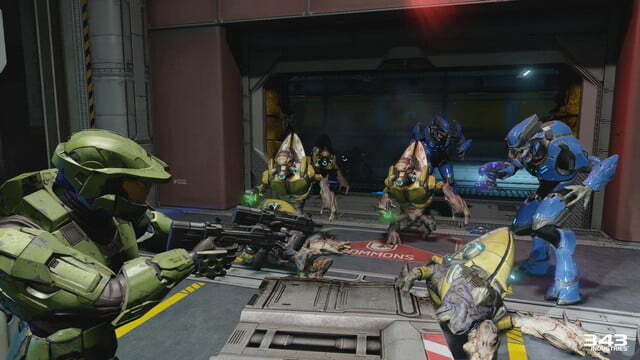 You get to shift uncomfortably in your chair all over again as Halo 2‘s Gravemind reveals itself. 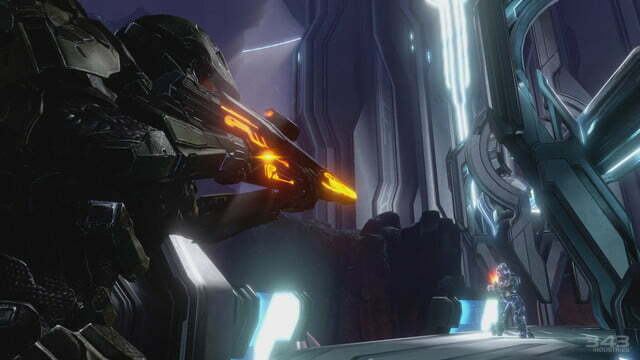 Sprint through Combat Evolved‘s Library as the Flood pour in and tread lightly through the jungles of Halo 4‘s distant Forerunner world while Promethean defenders materialize out of the shadows. It’s all here. More than that, though, The Master Chief Collection is a testament to the cult of fandom that Halo-lovers established around the series. 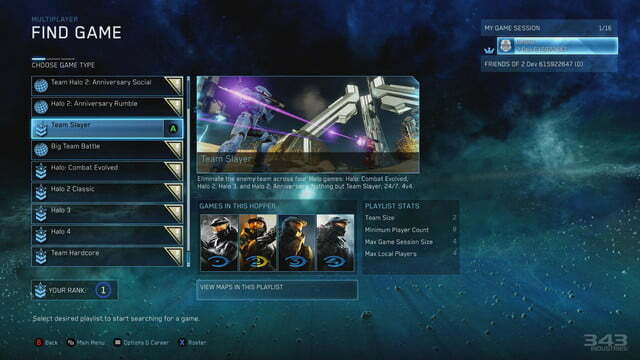 Every map from every included game and their add-on packs is available in the multiplayer mode, and each runs in its originating game’s engine. 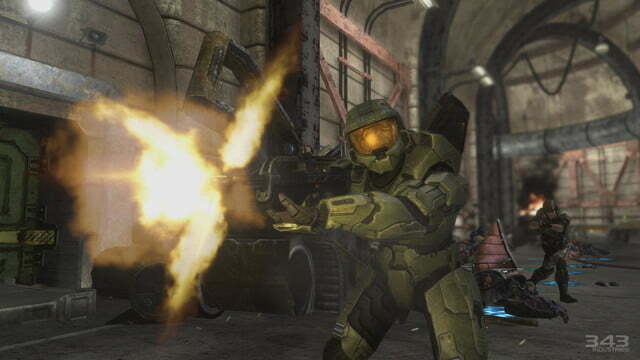 The pistol is just as dirty in Halo: Combat Evolved as you remember. 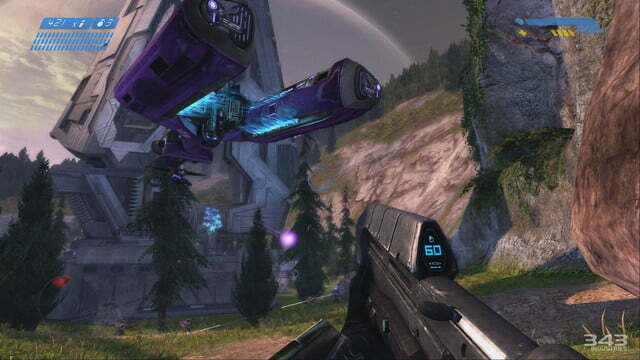 Grenade/rocket jumping remains a viable strategy in Halo 2. Each game is still broken in all the right ways. If you’re looking for dry product specs: All four games are presented in high-definition, freshly remastered for their first-time arrival on Xbox One. 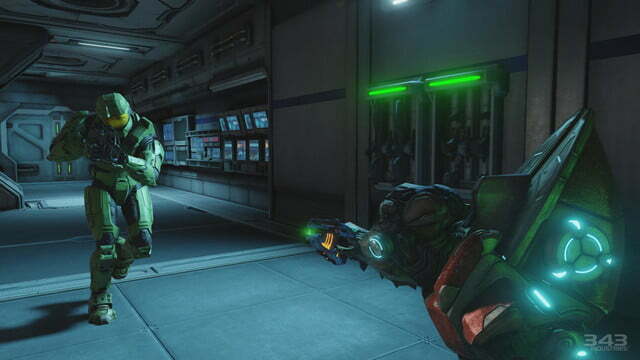 They also run at an impressively smooth 60 frames per second, in campaign and multiplayer both. Not that you’d expect anything less from a collection of games that were originally released for older hardware. 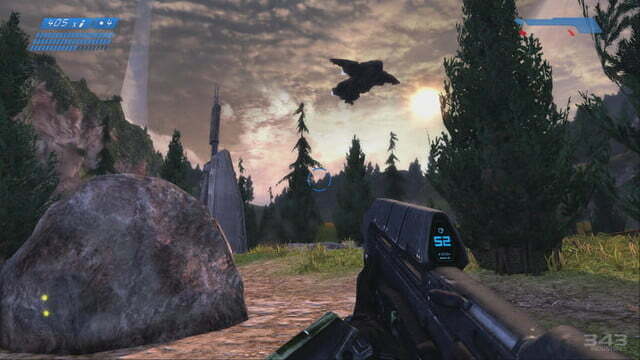 Halo: Combat Evolved Anniversary looks much the same as it did in its 2011 re-release, with remastered textures layered on top of the old ones. 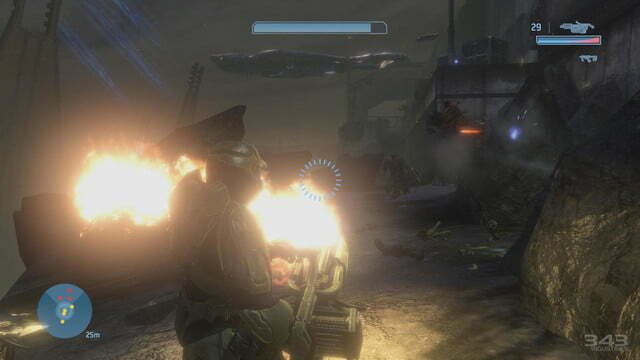 Halo 3 and Halo 4 are improved as well, though it’s less a full-fledged re-do and more a case where graphics and effects sliders seem to have been turned up. 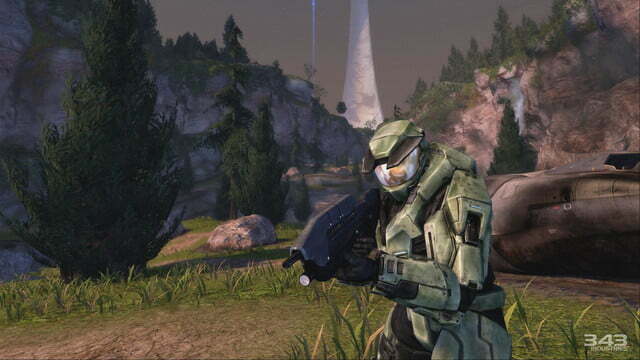 Both games look better and run more smoothly than they did on Xbox 360, that’s all that matters. 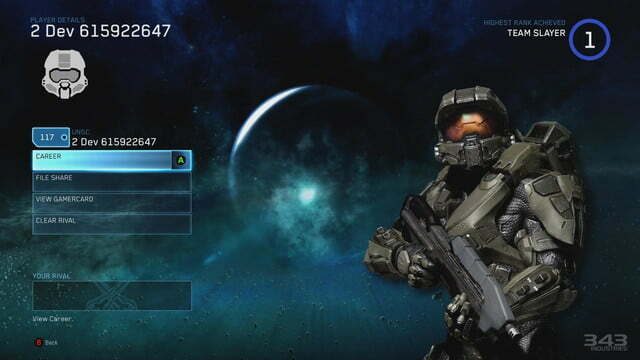 Halo 2 is the real star here, however. 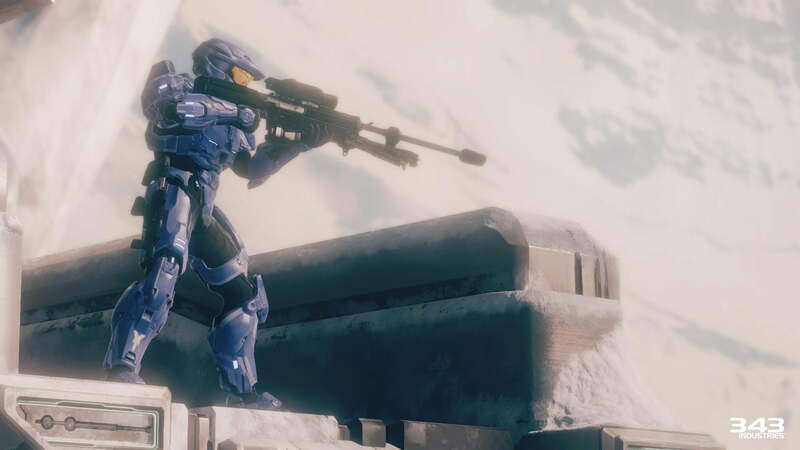 It’s gotten the same sort of “Anniversary” treatment that Combat Evolved did, further bolstered with the addition of completely reworked CG cutscenes from Blur Studios. While it’s a cosmetic enhancement that doesn’t have any sort of tangible impact on your play, the beautiful sequences breathe fresh life into Halo 2‘s plot. 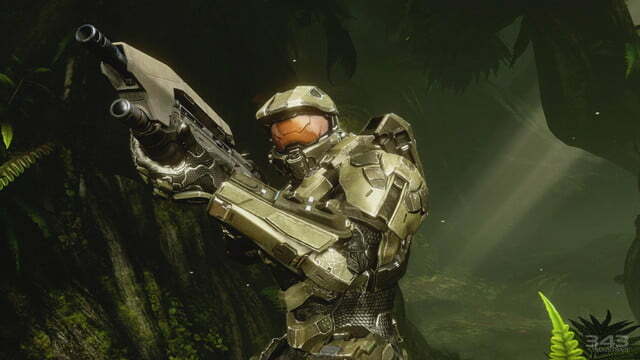 The Master Chief Collection is a testament to the cult of fandom that Halo-lovers established around the series. For all that’s familiar here, 343 deserves credit for creating a fans-first presentation package. 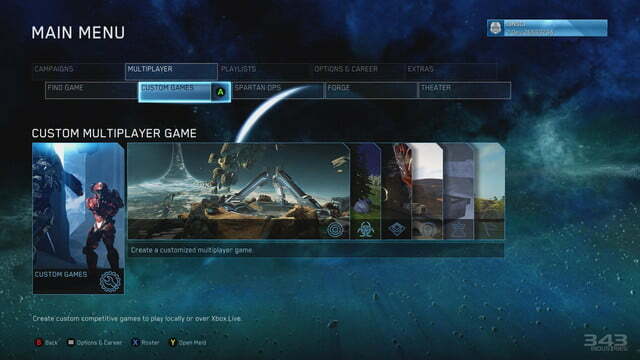 It’s much more than just a new main menu that leads to each separated game. For one, all four games huddle under the same umbrella. 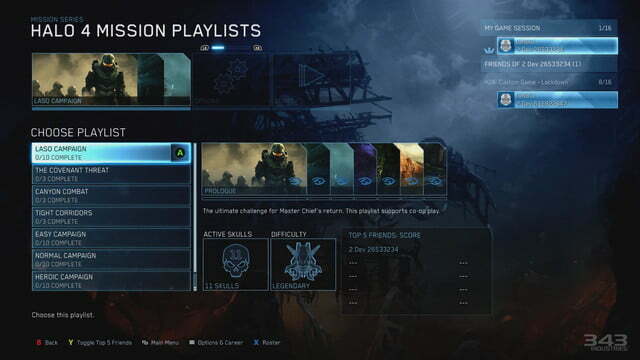 You can just play content from one Halo or another, but numerous playlists – for campaign and multiplayer both – straddle all four games. The key here is flexibility. 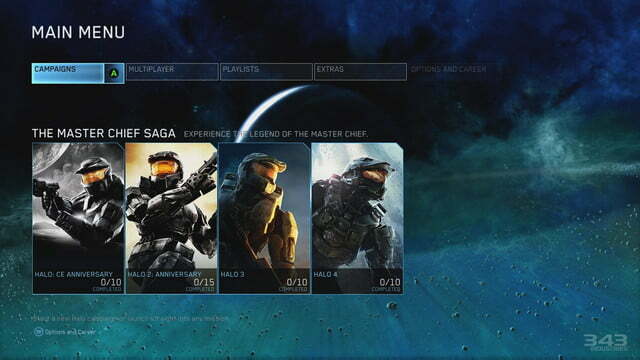 There’s nothing to unlock, no hoops to jump through before you can relive your favorite Halo moments. 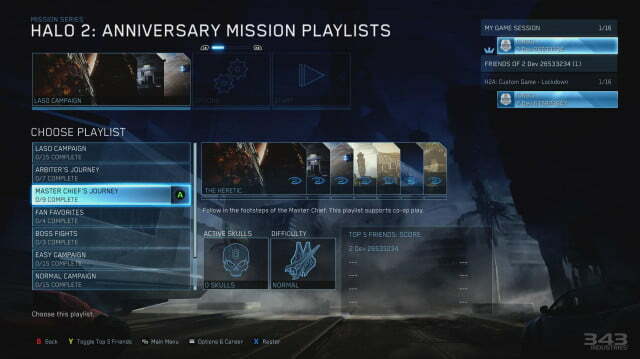 Missions, difficulty-tweaking Skulls, all of it is unlocked from moment one. Want to take on every game’s final escape mission in a single gauntlet? That’s an option. So is a straight runthrough of all four games in the series, beginning to end. And that’s on top of all the extra stuff. 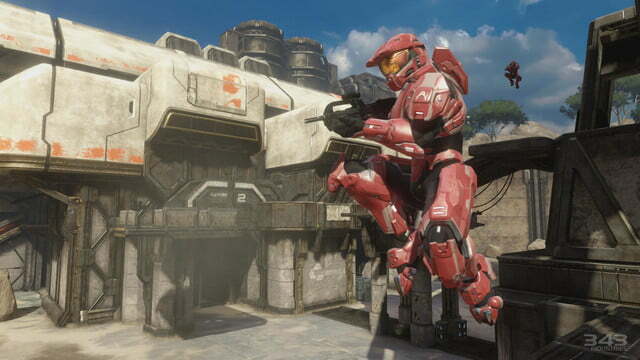 New for Halo 2 is Forge support, allowing players to jump in and modify some of the favorite terrains from the decade-old game. 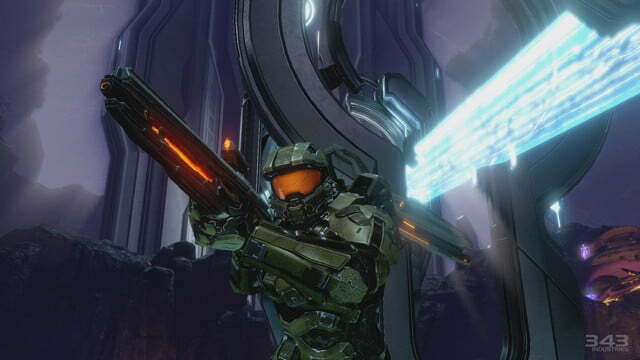 Halo 4‘s Spartan Ops co-op missions are absent at launch, but they’ll be added in an update. 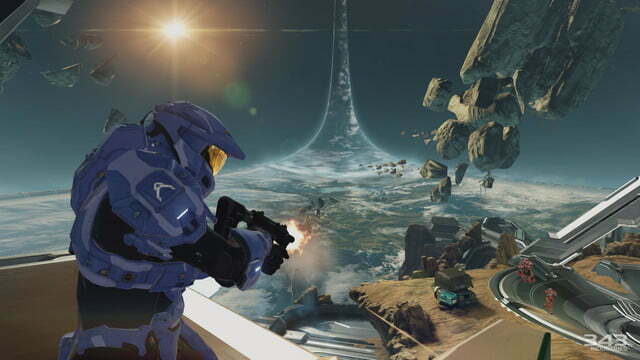 There’s also video content, like the episodic Halo: Nightfall series and, of course, guaranteed access to December 2014’s Halo 5 Guardians beta test. 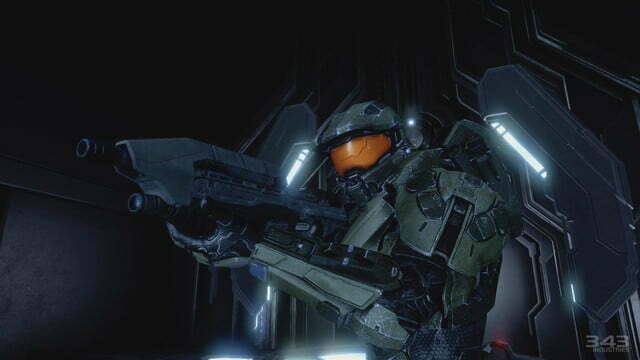 There’s a thrill here for every flavor of Halo fandom. 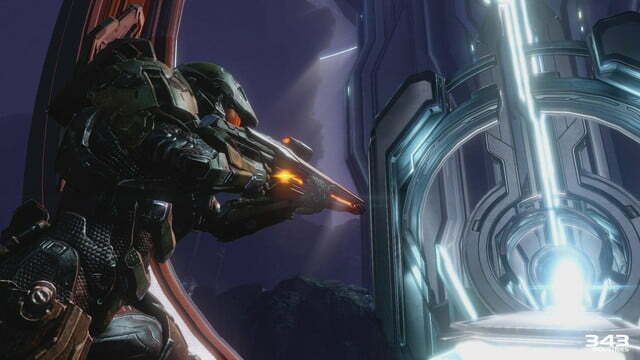 The Master Chief Collection is more than just a gap-filler to keep Xbox One users occupied while they wait one more year for Halo 5 Guardians. It’s a monument to what the developers and the community have built together. Fan-service seeps through every pore. This isn’t an epilogue, it’s an introduction. 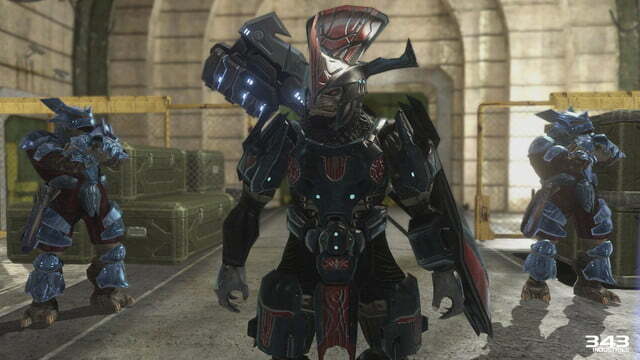 We’re back now to teabagging. 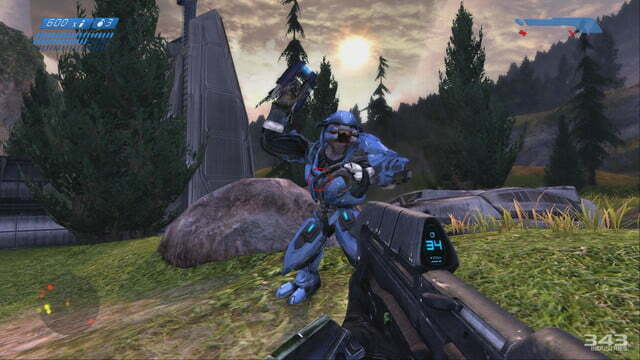 Ten years ago, Halo 2 established the rules and social mores that many console multiplayer games still abide by today. It was the first of its kind, an important step toward fostering a dialogue between creator and fans. More than just a perversely celebratory exultation, teabagging carried a message to Bungie: We’re playing your game our way. And Bungie responded. 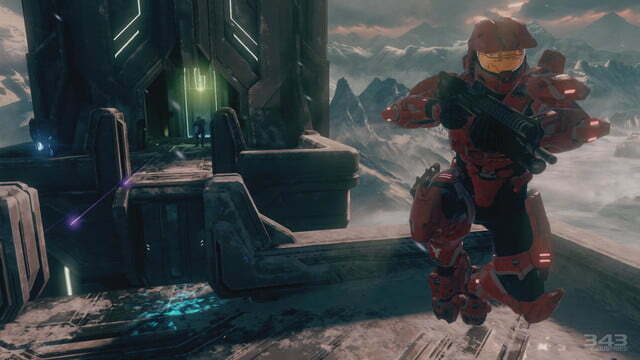 Here we are now, a whole decade after those first, tentative steps into online console gaming were taken. And everything’s just the way you remember it, every unintended flaw preserved. 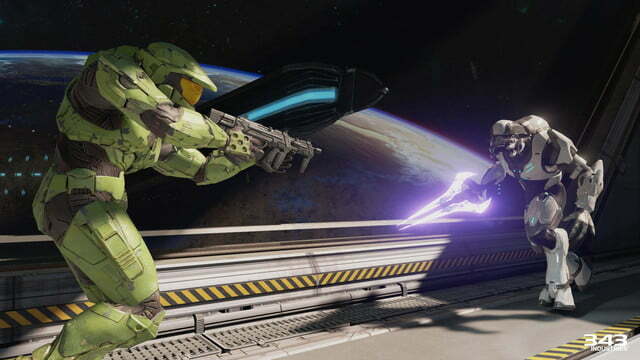 Halo: The Master Chief Collection isn’t quite definitive on the content side, but it fires on every level as a celebration of the fan impulses that made the series what it is today. This game was reviewed on an Xbox One using a code provided by Microsoft. Posted 22 minutes ago — By Charles Singletary Jr.